Betty Lou Fink, "39" of 215 Beaver Drive, Lewis Run, passed away, Sunday, July 29, 2018, peacefully, at her residence surrounded by her loving family. Born in Bradford, she was a daughter of the late Leon and Ruth Violet (Strait) Godding. She was married to Russell Guy Fink who died December 12, 1996. Betty was a graduate of Bradford Area High School. She had been employed at Wooster Motor Lines, K-Mart and later at Zippo Manufacturing in the fit up Department and retired after 18 years of service. 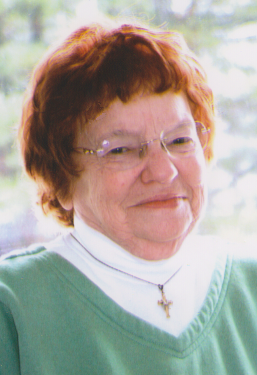 Betty was a member of the VFW Auxiliary, Eagles Club, the American Legion Auxiliary, she enjoyed going on bus trips to the casino, watching Pirate's Baseball and especially spending time with her grandchildren, family and friends. Surviving is her longtime companion Lenord "Lenny" Schuppenhauer, two daughters, Ruth Ellen Coast, of Lafayette, and Sherry (Gene) Foster, of Bradford, one son, Ed (Chris) Coast of Duke Center, two granddaughters, Tammy Watson and Nikki (Matt) Renwick, four grandsons, Ray Coast, Robert (Mandy) Schleicher Jr., Roy Schleicher, and Mike Coast, four great granddaughters, Hannah Schleicher, Jaylen Coast, Abbigail Schleicher, and Alexis Renwick,three great grandsons, Blaze Schleicher, Chance Palmer, and Andrew Renwick, one brother, Don Godding and several nieces and nephews. At the family's request there will be no public visitation. A Celebration of life will be held at a later date to be announced. Arrangements are under the direction of the Hollenbeck-Cahill Funeral Homes, Inc.
Dear Ruth and Family, We are so sorry for your loss. We hope that you are comforted by your memories. Thinking of you. Holding our hilltop''s newest Angel in our prayers, and all those that will love & miss her so very much! Ruthie and family, We are so sorry for the loss of your mom. She was a very special lady. Our deepest condolences. You are in our thoughts and prayers. Ruth and Ray sorry to hear of Betty''s passing. She was a wonderful lady who will be missed. So sorry for your loss! She will be missed! Just know she is not suffering! Remember all the good times???? !